The solar power industry is booming. Although legislative challenges still exist, the overall trajectory of the solar power industry is upward. Any company involved in residential or commercial electrical services or any power-related service should be keeping a sharp eye on this emergent industry. New demands from customers will require even more trained employees in solar power installation and related skill sets. Companies can prepare by ensuring that employees have the training they need. According to the U.S. Solar Market Insight 2017 Year in Review, solar power accounts for 30% of all new electric generating capacity brought online last year. This is actually a slight decline over 2016, when the industry saw record-breaking growth. The 2016 boom was partly due to a 30 percent federal Investment Tax Credit that expired at the end of that year. Many installers pushed projects through before the end of the year in order to take advantage of the credit. With no such tax break at play in 2017, installation dipped slightly from that 2016 high. 2017 was, and 2018 is expected to continue to be, a return to the more staid and steady growth that the industry has seen year over year since 2010. This growth has been driven in part by environmental concerns from consumers and lawmakers. Emerging technologies that make solar power easier, more efficient, and less costly are also key to its upward momentum. Utility power is the area that has seen the most growth, but residential and non-residential photovoltaic installations are also seeing an overall upward trend. Some experts have expressed concern that new tariffs on imported solar panel components may dampen the growth of the solar power industry. The biggest impact will likely be felt in the utility sector, while residential and commercial segments feel a lesser effect. However, any dip in the overall upward trajectory is expected to be short-lived as demand from consumers and improvements in technology overcome pricing concerns. 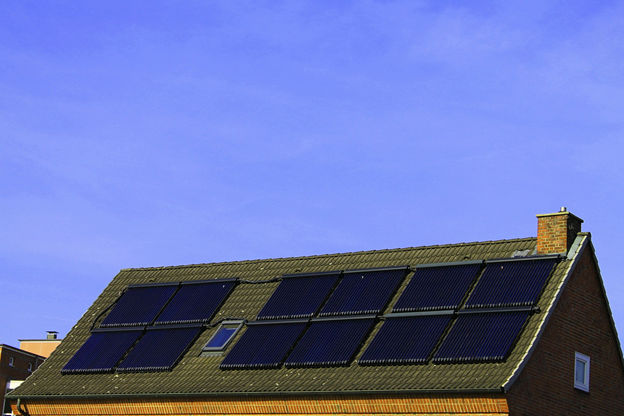 Companies and consumers are looking to solar as a source of sustainable power for the future. By 2022, some projections expect the global solar energy industry to reach $422 billion. Other projections are more conservative, putting the global solar power market at $158.4 billion in 2023. Regardless, solar power is clearly penetrating the traditional value chain of the electric industry. Coal, oil, and other fossil fuels are falling by the wayside to be replaced by solar and the current leader, natural gas. In the United States, data from Green Tech Media shows that 18 states will install 1 gigawatt or more of photovoltaic power between now and 2022. California is the clear leader in the race for solar power saturation, but Florida, Texas, North Carolina, Arizona, New York, Nevada and Georgia are all clear contenders as well. As the industry changes, companies will need to update their approaches and upskill their employees to meet demand. Two major forces are driving the rise of solar power. First, a global demand for cleaner, more sustainable power sources. Second, advancements in the technology used to create and store solar power. Economic and environmental factors are forcing nations and lawmakers to focus on sustainable power and the impact that power generation has on the natural environment. A UN Report released in April found that solar accounted for 38% of the 157 gigawatts of renewable power commissioned internationally in 2017. Countries like China, that are struggling with air quality concerns, have made massive investments into solar. Within the United States, support for solar and other renewable energies comes from the ground level of government. Nine out of 10 American support solar according to a national poll. In March, a bipartisan group of 180 U.S. mayors across 42 states released a letter in support of solar energy. Partly in response to public demand, solar power systems are becoming more efficient, with higher wattage and higher volt systems that reduce costs overall. 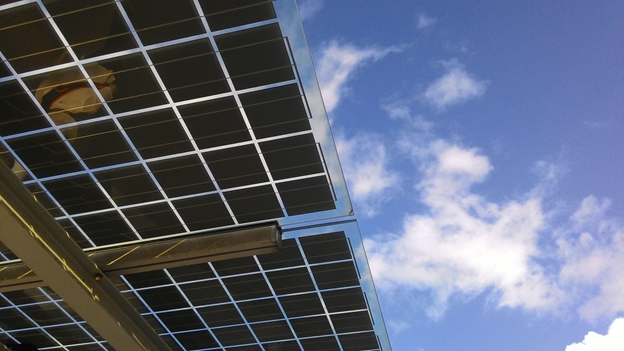 Researchers all over the world are working on ways to improve solar power. At MIT, a team of scientists are working on what they call “hot solar cells,” otherwise known as thermophotovoltaics. Their work is expected to hit the market in 10 to 15 years. Another brainchild of MIT graduates, Sistine Solar, is working on “solar skin” a technology that address consumer concerns about the cosmetic aspects of solar panels. SolarSkin is designed to blend in to the roofline, which could potentially tempt more consumers to install solar for their homes. Companies are testing solar roadways, building floating solar plants, and developing new storage options for the power generated by solar technology. The broad range of technologies being explored shows that solar has become a major player in the power generation economy. One effect of the overall increase in solar power demand and installation is an increase in demand for skilled labor for the industry. The 2017 National Solar Jobs Census found that 250,271 Americans worked in solar in 2017. As with other elements of the industry, employment in solar has risen over the last seven years from 93,000 jobs in 2010. Solar power demands more workers than other power industries, two times as many as the coal industry and nearly as many as the only higher growth power industry -- natural gas. As a result, some employers are struggling to find qualified solar power installation candidates. The census found that 18 percent of solar employers said it was “very difficult” to find qualified candidates. Many companies require experience as the most important criteria for hiring, yet some could overcome this solar skills gap by training existing employees or hiring and training new employees through established solar power installer training programs. How can Companies Prepare for the Solar Powered Future? Businesses can prepare for the continued rise in solar power by training employees in solar power installation. Having prepared team members means a higher capacity to serve the needs of customers who demand more solar power options for both residential and commercial applications.